Safe Browsing is a dubious Google Chrome extension that supposedly makes your browsing experience better by allowing you to customise your homepage. It’s also considered to be a browser hijacker. While you may find that useful, you should also be aware that it will expose you to advertisements and sponsored content. This can be highly annoying, especially if you did not choose to install the hijacker. And that can happen if you regularly install freeware and do not pay attention to how you do it. If you find a program on your computer and you do not remember installing it, get rid of it! Never trust anything that come into your computer unauthorised. Otherwise, you are putting your computer in danger. A hijacker is not a dangerous infection and it will not harm your computer itself but it may be able to expose you to unsafe content, which could lead to a malware infection. We strongly suggest you delete Safe Browsing straight away. Browser hijackers use the bundling method to infect computers and that means they are attached to free software as additional items that you can choose to not install. However, since they are set to install alongside, you need to manually deselect them to prevent installation. Thankfully, that can easily be done in Advanced or Custom settings of the freeware installation. When you choose those settings, you will see that certain items have been added to the program. If there is something, just uncheck the boxes and you can then proceed to install the freeware. If you realise that you have already installed it, you should remove Safe Browsing. 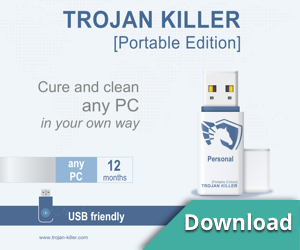 We hope this simple removal guide and our tool helped you to deal with Safe Browsing virus and removed it completely from your computer. If it didn’t, or if you have any questions you can leave a comment below, or contact our Support team. Previous Removing search.heasycouponsaccess.com Chrome virus.